Many Trey-penned songs have almost perfectly descriptive titles. Songs like “Maze,” “The Chase,” “Bliss” and “Run Like An Antelope” are virtual aural descriptions of themselves. Add “Spin” to that list. 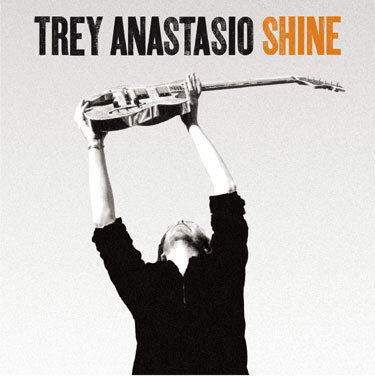 “Spin” was among the first batches of songs Trey wrote after the 2004 Phish “breakup” and was ultimately included on his first post-Phish release, Shine. Co-written with Shine producer Brendan O’Brien, “Spin” tells the story of a life spinning out of control, but evidently still clinging to the rails. In retrospect it’s hard not to view “Spin” as reflecting Trey’s then state of mind: awareness of being “stuck in the spin” but nevertheless “enjoying the view.” Of course, we all know how that story turned out. The studio version of “Spin” – like most of Shine – suffers from overproduction, but does contain an interesting organ-led outro jam. “Spin” made its first live appearance with 70 Volt Parade incarnation of TAB on 8/4/05. Early versions largely mirror the studio version, though without the organ solo in the outro jam. By fall 2005 the song developed a jam segment that picks up pretty much where the studio version leaves off (see, for example, 11/11/05). After being played at six of the first nine shows of the G.R.A.B. tour (check out the 7/9/06 Bethel version), “Spin” was inexplicably ignored for the latter half of that tour. That brief period on the shelf proved beneficial, though, as the song really took off during the vastly underrated fall 2006 TAB tour. Strong versions can be found on 10/19/06 Chicago, 10/23/06 Boulder and 11/4/06 Ithaca, with the Ithaca version clocking in at over 28-minutes and kicking off a segue-filled second set. “Spin” remains a part of the TAB repertoire to his day, albeit a less frequent one. Recent versions that shouldn’t be missed include the acoustic rendition from 2/18/11 which is essentially a Trey/Ray duet with Jen and Natalie providing backing vocals and the intense electric version from 1/24/13. Unfortunately, from a jamming perspective anyway, recent TAB versions have yet to reach the heights scaled by their 2005-06 brethren.